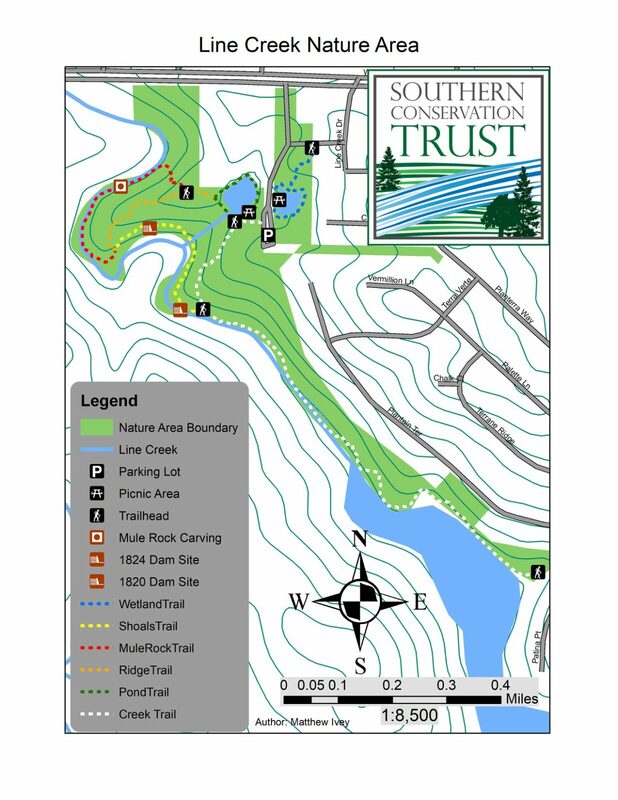 Line Creek Nature Area is a 70-acre public preserve along Line Creek off Highway 54 on the Fayette/Coweta County line. 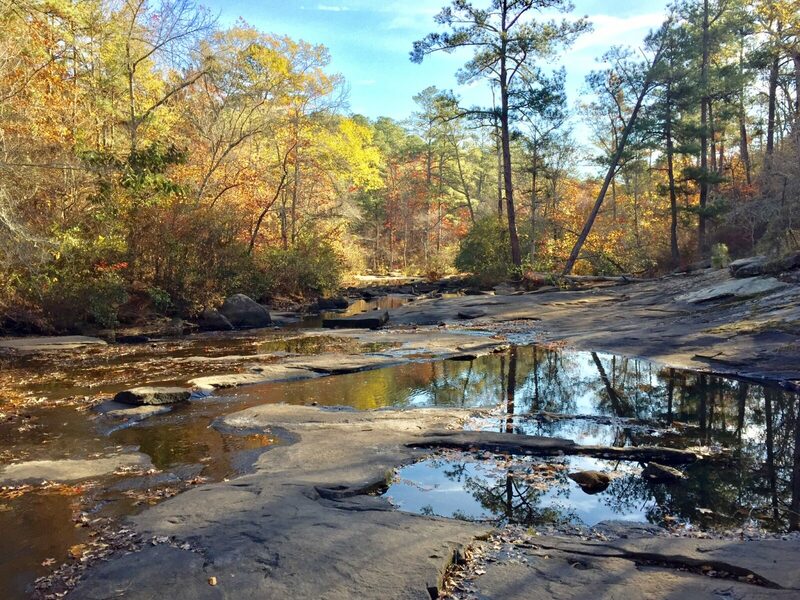 This popular Nature Area offers a mix of habitats – an upland hardwood forest, beautiful creekside granite outcroppings, and a rushing stream bordered by native azaleas. Visitors will enjoy a fishing dock on a small pond, a gazebo and almost three miles of nature trails. Keep an eye out on the trails for a few historic sites! This stretch of Line Creek was home to multiple mills in the 1800’s, and the remnants of their dams can still be seen today. When on the Mule Rock trail be sure to look for the Mule Rock carving! The nature area is furnished with picnic tables, small bridges, a rock amphitheater and a few information kiosks. In 2017, Trinity Development completed the new Line Creek Wetland with an observation deck. This area catches and detains stormwater runoff that slowly feeds the small pond and eventually Line Creek. It displays the characteristics of a wetland and demonstrates how water is naturally slowed down and filtered. While many of our visitors like to bring their dogs along for the journey, we would like to remind everyone that dogs are required to be on a leash when at Line Creek.